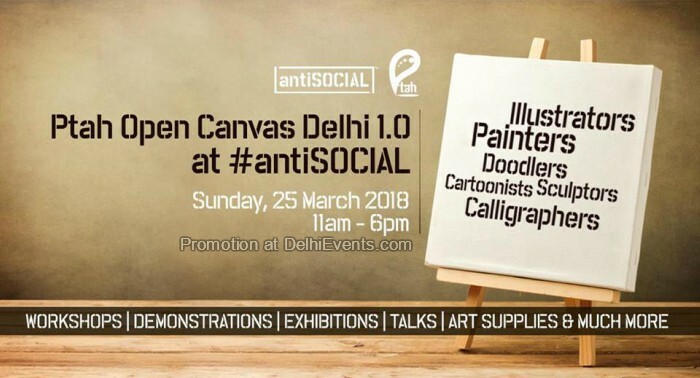 First time ever in Delhi, Ptah in association with Antisocial presents it’s first edition of Open Canvas. Painters, sculptors, cartoonists, doodlers, calligraphers, and illustrators are invited to showcase their talent and art. And if you're not performing, you could always attend and be the spark that ignites the fire. Come to meet the excellent & talented artists and be a part of live demos, workshops, interactions, talks & many more. You will also come across some cool art supplies to buy.